for oils, extracts, vaping liquids, and more. 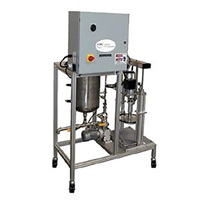 Fluid Research is a manufacturer of metering, mixing, and dispensing systems designed to handle industrial resins and liquids. The product range includes both standard and specialized equipment – from table top machines for smaller projects to fully automated machines for large volume production. With over 40 years of experience in the field, Fluid Research Ltd is considered to be the knowledge leader in liquid control. Fluid Research will ensure the highest quality dispensing solutions for your application and provide full technical support. 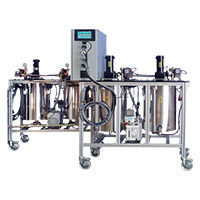 Customized fluid management and dispensing systems based on your materials and application requirements. 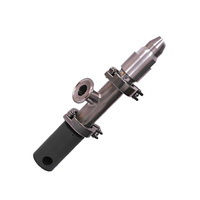 Fluid Research® offers two pump technologies, progressive cavity pumps and piston pumps for precise dispensing. Material management systems are designed specifically to address handling issues and provide consistency. Whether you are looking for fluid dispensing, meter/mix systems, low pressure molding, or purchasing specialty chemicals we have a solution for your application needs. With over 40 years of industry experience, our technical service staff can help you with anything from consulting and product selection to process development and implementation. Looking for a solution to your application? Contact us today or visit one of our related divisions. Ellsworth Adhesives specializes in the distribution of specialty chemicals and equipment, offering a wide range of products including adhesives, sealants, encapsulants, tapes, soldering products and more. Fisnar Inc. offers a large selection of dispensing valves, fluid dispensers, industrial robots, pumps, reservoirs and accessories suitable for automating bench assembly or large in-line processes. MoldMan Systems™ manufactures automated low pressure molding machines that are designed to encapsulate, protect, and seal electronics with materials such as hot melt adhesives, silicones, epoxies, and urethanes.